Fernandina Beach back pain due to disc degeneration is helped by chrondroitin sulfate. Amelia Chiropractic Clinic shares with Fernandina Beach chiropractic patients that their gut’s health is vital and influential to conditions like back pain, arthritis, scoliosis, and inflammation. Fernandina Beach chiropractic pain relief for disc degeneration at Amelia Chiropractic Clinic may be improved by melatonin and light therapy. Fernandina Beach knee osteoarthritis and quality of life bettered with Mediterranean diet. 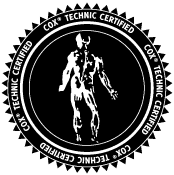 Amelia Chiropractic Clinic also used adapted Cox Technic principles for knee distraction. Amelia Chiropractic Clinic checks for vitamin deficiencies in Fernandina Beach chiropractic postmenopausal women patients as such may increase their risk of fractures. Amelia Chiropractic Clinic shares with Fernandina Beach chiropractic patients how a S.A.D. diet starts about inflammation and pain. Fernandina Beach chiropractic patients who are at risk of falling may find that their risk if reduced by taking calcium. Treatment for Fernandina Beach neuropathic pain related to sciatic nerve irritation helped with chondroitin sulfate and chiropractic treatment. Fernandina Beach chiropractic care includes nutrition guidance like eating fruits and vegetables to reduce inflammation, risk of osteoporosis, and all-cause mortality. Fernandina Beach chiropractic patients who have healthy lifestyle behaviors get relief from back pain and reduce their risk of futureFernandina Beach back pain.